Long before it was officially announced, I had heard the rumblings of a second major comic book convention coming to Bartle Hall in Kansas City (the same venue used for Planet Comicon). 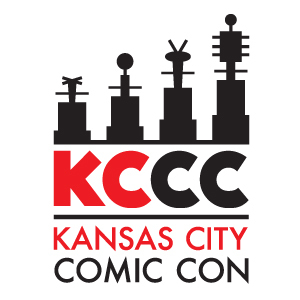 Sure enough sometime back in November 2014 (I think), the Kansas City Comic Con was announced. 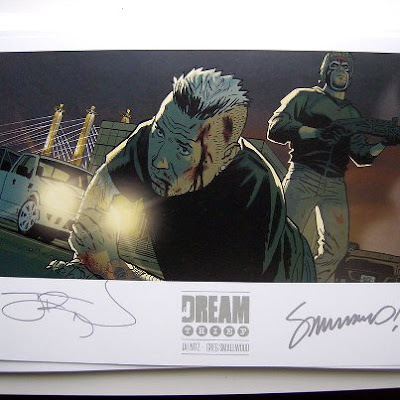 Dream Thief promotional artwork with Bartle Hall in the background by artist Greg Smallwood. Several creator mainstays of the Kansas City area became its first listed guests. Which is expected. I love that Kansas City (and surrounding areas) has a large comic book community, consisting of awesome talented individuals which I do enjoy chatting with. But what I found surprising was the attention that was being given to a bunch of the non "mainstream" creators. I am a huge supporter of the local guys and it's nice to see them get theirs for Kansas City Comic Con. Now, I don't bother much with media folk, and I've probably been a fool a few times for passing up getting an autograph or a picture with celebrities in the past. I know most shows use the celebrities as a draw to get some of the less comic minded folk to buy tickets. After all, it is a thin line pop culture wise, I understand. Personally I just don't like the idea of dropping upwards of $40 for a signature and a quick photo. But I digress... the real thing I was looking forward were who they were going to be able to bring into Kansas City who might not have come to a show in the past. Well, they delivered. 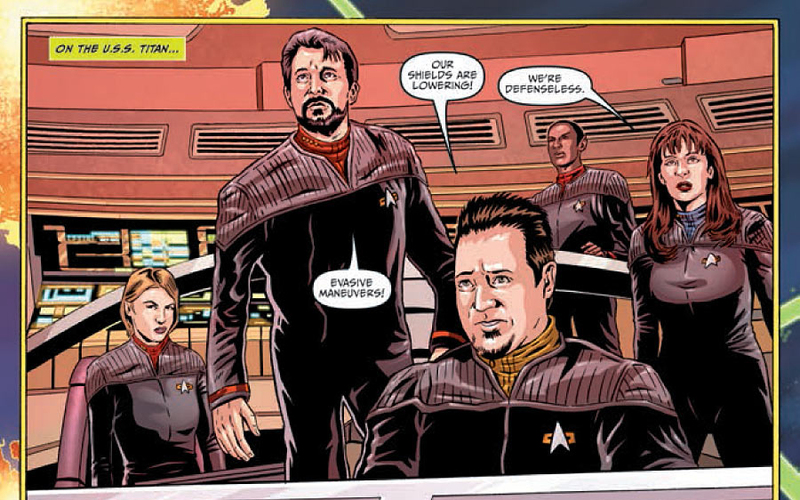 DMI cameo from Star Trek: Hive #3, drawn by Joe Corroney. Most notably for me is Joe Corroney, Star Trek and Star Wars artist, and DMI contributor! 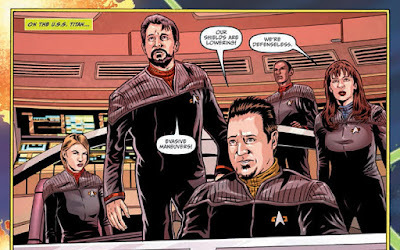 Joe was very gracious to give me a cameo in a recent Star Trek comic (I really, really love ST:TNG) and can't wait to thank him in person. I look forward to checking out this inaugural show which looks very promising. I feel bad as Planet Comicon every year is like a mini-vacation for me. And so I spent a lot of money on a hotel and bought far too much this year, that I might not be able to commit to the full weekend at Kansas City Comic Con. The show is this August 7th through the 9th (Friday - Saturday), I hope to at least go Saturday to say hi to all my comic friends and meet some new faces.